Top German soccer club Borussia Dortmund has fired Coach Thomas Tuchel on Tuesday, reports in Germany confirm. He was fired three days after he helped the club win their first title in five year; the German Cup final. Tuchel’s contract is due to lapse next year but the club announced in a statement that the 43-year old manager was no longer in charge with the move taking immediate effect. The coach and his rep Olaf Meinking discussed with the club chief Hans-Joachim Watzke and the club’s sporting director Michael Zorc. At the meeting, it was agreed that the tactician should exit the side immediately. The management thanked Tuchel and his crew for their services, wishing them well henceforth. 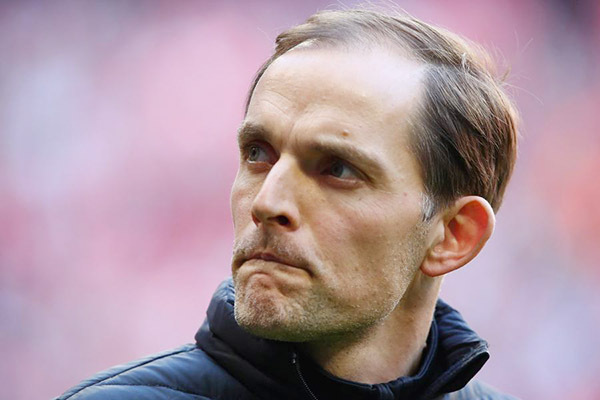 Tuchel had led the team that defeated Eintracht Frankfurt 2-1 in the final on Saturday but there was a standing issue with the management over the course of a difficult season. The club said it would not comment on the reasons for dismissal, adding that the decision went through a “long process” and was supported by the club. The statement claimed the “separation is by no means a disagreement between two people” but that the sporting success of the club was more important. Tuchel took over from former coach Jurgen Klopp in 2015. In his debut term, he helped the team reach the second spot in the Bundesliga. They narrowly lost the German Cup as their arch rival Bayern Munich bested them in the final. After helping the club rise from the slump after Klopp’s exit, Tuchel was commended. He reintroduced an attacking mindset that had seemed lost. This term he finished third in the league and won the German Cup but it was not enough to keep him. His issues with the management have been over player transfers and management decisions. It was something waiting to happen.